“Images. 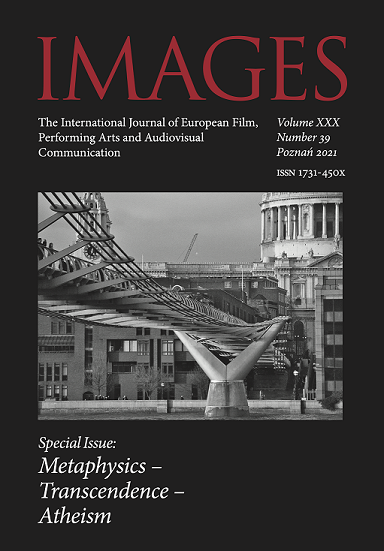 The International Journal of European Film, Performing Arts and Audiovisual Communication” is a half-yearly academic journal. Each issue is a monograph devoted to a selected subject representing an important phenomenon from contemporary audiovisual culture. Articles are mainly devoted to Polish and foreign cinema, mass media, photography and popular culture, also within the broadly understood context of popular culture and interdisciplinarity. “Images” is a space encouraging deep reflection upon contemporary visual reality with its contexts and margins. The journal is distinguished by high and original aesthetic values, represented in the editorial scrupulosity and first of all in the publication of art works. Each issue includes an author gallery presenting works of an outstanding artist invited by the editors, be it a photographer, designer or painter.